Antonio Carlos Junior passed his toughest Ultimate Fighting Championship test to date in impressive fashion Saturday night, stopping Maine native Tim Boetsch by submission with a rear-naked choke late in the first round of their mixed martial arts bout at the Gila River Arena in Glendale, Arizona. The 28-year-old Carlos Junior is likely to move into the UFC middleweight rankings after scoring his fifth straight victory in the Octagon — four of them coming by rear-naked choke. He improved his record to 11-2 overall with one no contest, 7-2 in the UFC. 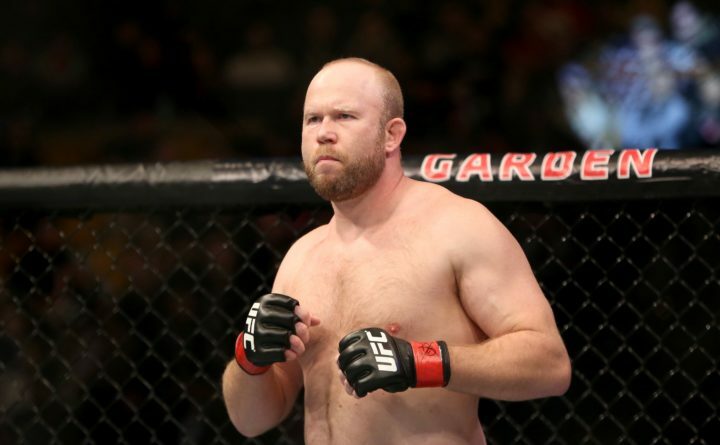 Boetsch, the 37-year-old Lincolnville native who had won three of his last four contests, dropped to 21-12 overall, 12-11 during a UFC career that has now spanned more than a decade. This bout, contested at 185 pounds, was not expected to go its scheduled three-round distance, since no Boetsch fight had gone to the judges’ scorecards since October 2013 while Carlos Junior has had just one decision in the last four years. Carlos Junior, two inches taller than the 6-foot Boetsch and also sporting a five-inch reach advantage, controlled the center of the Octagon at the outset of the first round and found success with several kicks to the leg. Boetsch, the former All-American wrestler from Camden-Rockport High School in Rockport who now lives in Sunbury, Pennsylvania, sought to keep this fight standing. He landed one heavy right-hand strike midway through the round, but Carlos Junior shook it off and soon took “The Barbarian” to the mat via a double-leg takedown. Carlos Junior, a former Pan Am world jiu-jitsu champion who earned his way into the UFC as winner of The Ultimate Fighter’s Brazilian heavyweight tournament in 2014, used some ground and pound to position himself to take Boetsch’s back. Then he locked in a body triangle and applied the rear-naked choke that prompted the end of the fight when referee Herb Dean acknowledged Boetsch’s tapout with 32 seconds left in the five-minute round. Carlos Junior entered the bout as the betting favorite.